Al was born into a canoe-tripping family frequenting the lakes and rivers of Algonquin Park, Killarney, French River, Kawartha Lakes and Missinaibi Provincial Park. Al graduated from Lakefield College School in June, 1977 and was fortunate to join a three-week canoe expedition on the Coppermine River following his graduation. Following in the footsteps of Samuel Hearne and George Douglas, Al’s thirst for adventure became a life-long pursuit. Al’s wilderness journeys span thousands of river miles on over twenty different northern waterways. He is one of Canada’s most accomplished River Guides having lead over 100 successful canoe and hiking expeditions. Al teaches respect for the rugged northern landscape and takes great pride in CNA’s impeccable safety record. 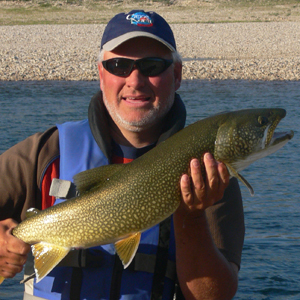 As a Canoe North Adventures owner-operator Al managed the construction and design of the award-winning Lodge and Outfitting Centre in Norman Wells and is responsible for gear purchasing, guide-training and logistical planning. In the off-season, Al is a studio-potter creating original stoneware vessels, both functional and decorative with a distinctly Canadian flavour. Al’s pottery designs reflect the textures and rhythms of the mysterious northern landscape. Queen Elizabeth II received a Dancing Loon Plate and Pope John Paul II received an iconic Canoe-Vessel both of which were created by Al in his Farmhouse Pottery Studio.